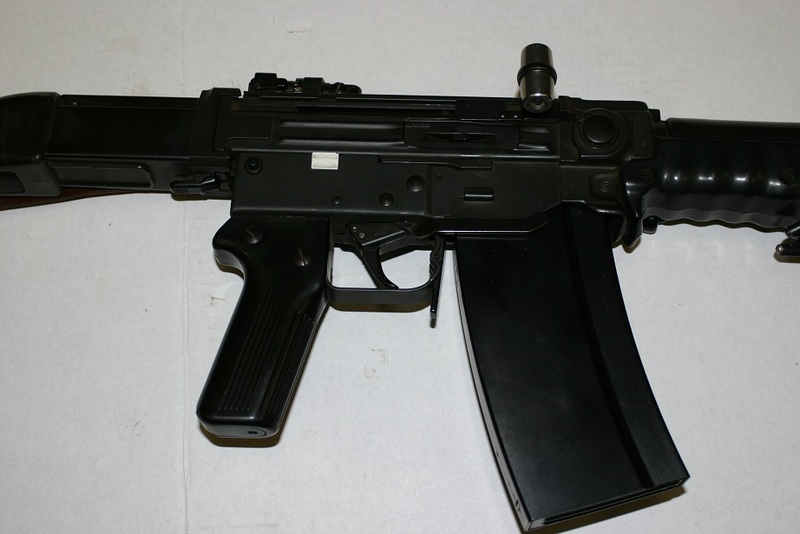 Now just imagine this! 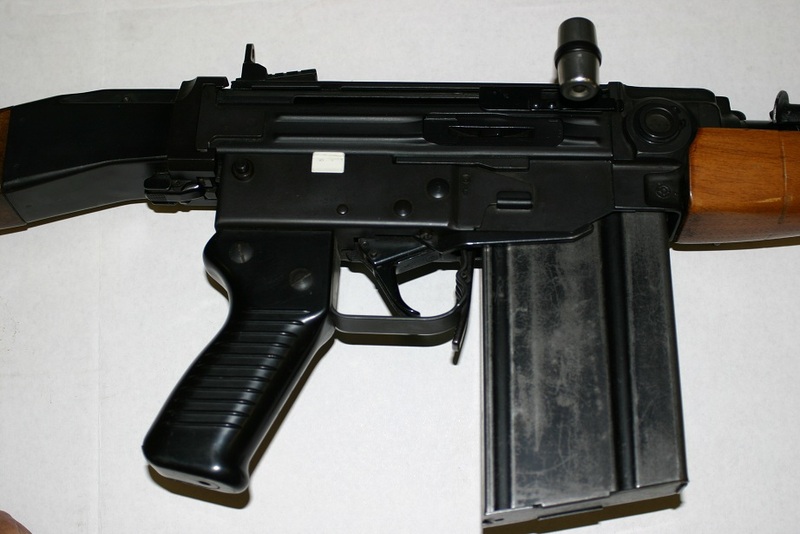 Almost every house in the Cantons of Switzerland has one of these with a crate of ammo to boot. 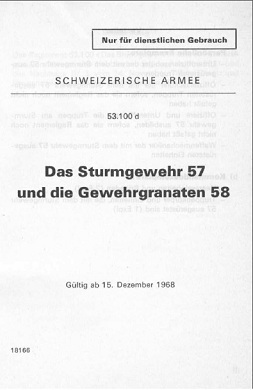 As almost every male citizen has served in the Swiss Army and is liable for recall to the colours in a time of National Emergency. 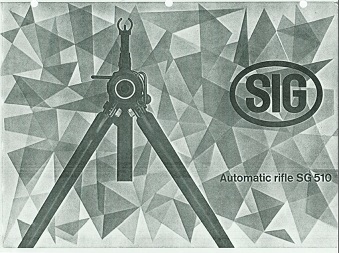 Here is some more information about this fine rifle below. 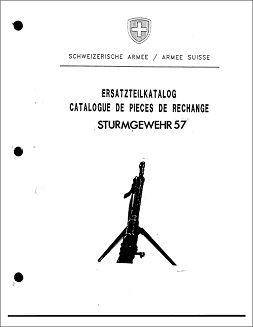 The Stgw 57 was Switzerland’s first standard-issue selfloading service rifle. 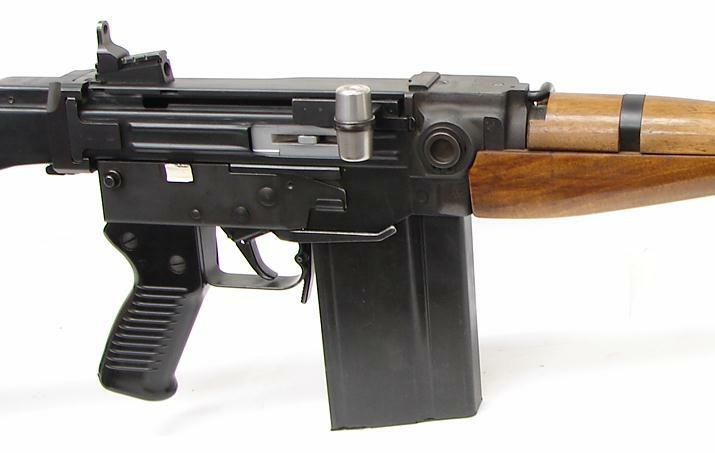 The Swiss experimented with designs for ten or twelve years (including the AK52) before adapting the model 57 in, appropriately, 1957. 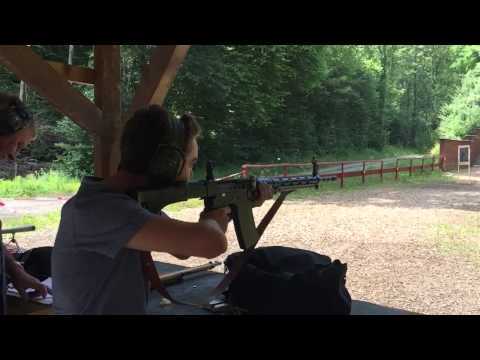 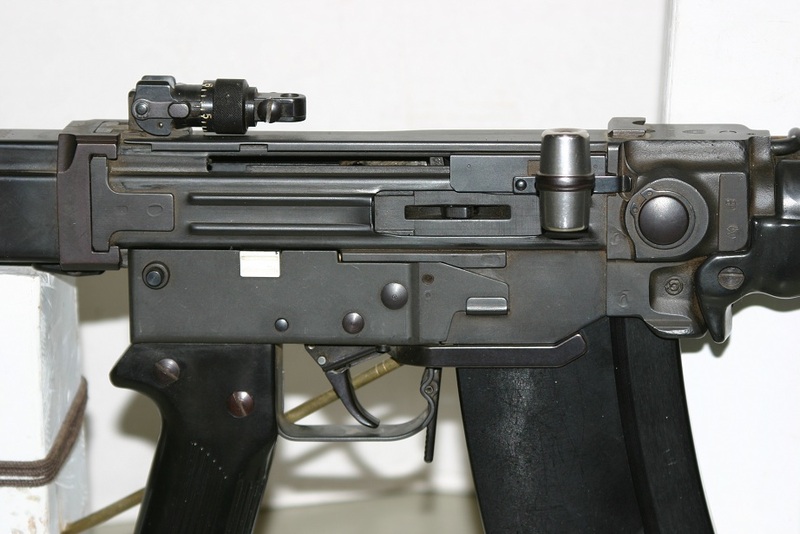 The design is based on the German roller-locking system, and uses a delayed blowback system like the StG45 rather than a truly locked mechanism. 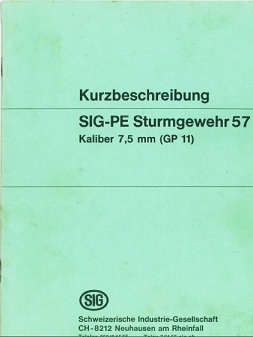 The Swiss originally developed the rifle for the 7.5×55 GP11 cartridge, and designated the rifle Stgw57 for military use and SIG 510 for export sales. 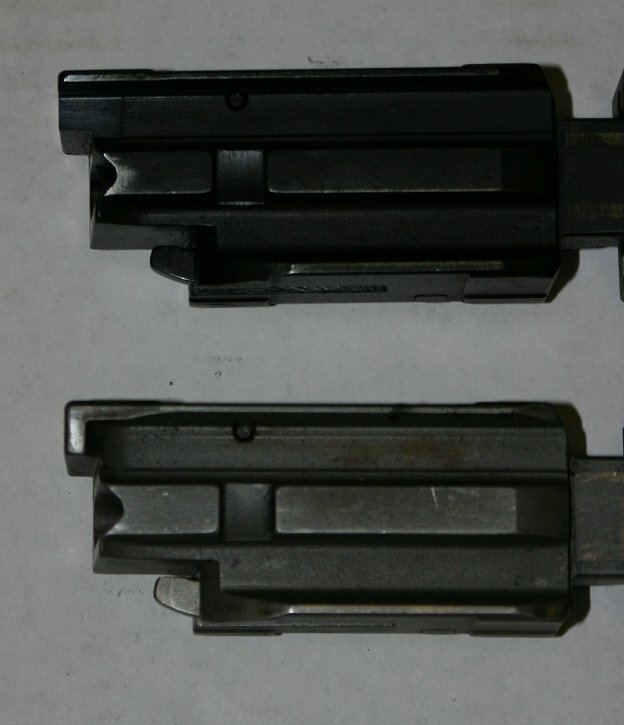 These rifles used a curved 24-round box magazine. 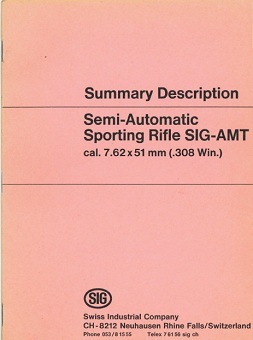 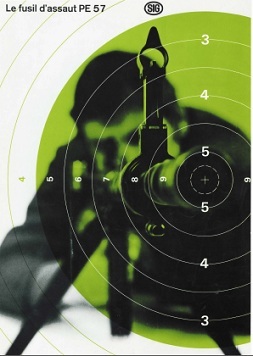 Several other variants were also made for export, primarily the SIG 510-4 and AMT (American Match Target). 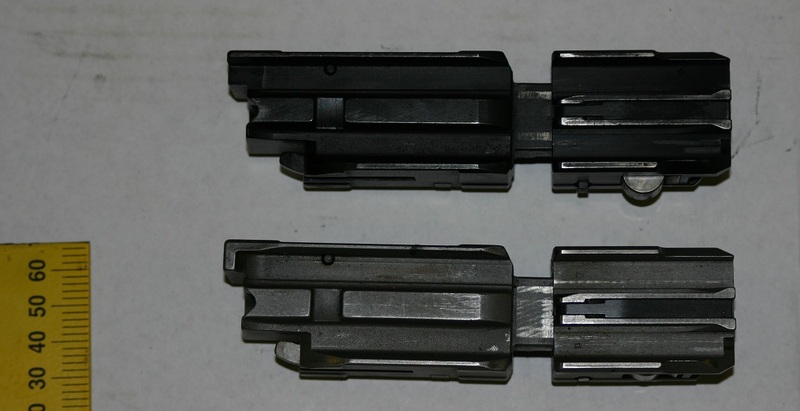 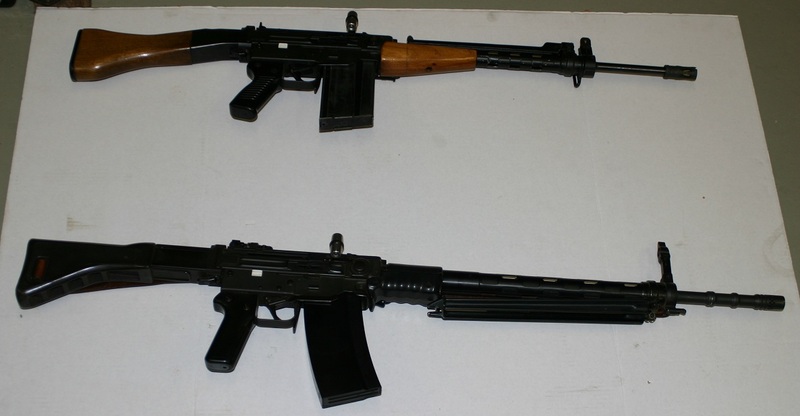 Both of these was chambered for 7.62 NATO and used 20-round straight magazines. 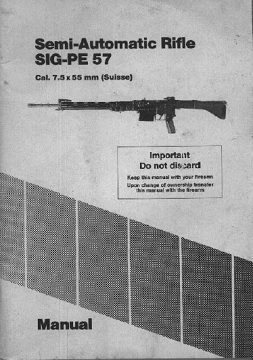 The American rifles were semi-auto only, and some were imported in the original 7.5 Swiss caliber (these were designated PE-57). 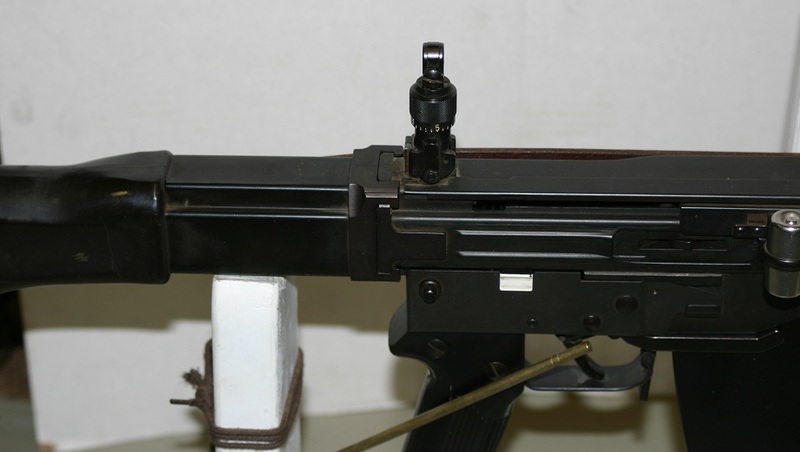 Only about 4000 AMTs were imported into the US, and they remain a rare rifle in the country. 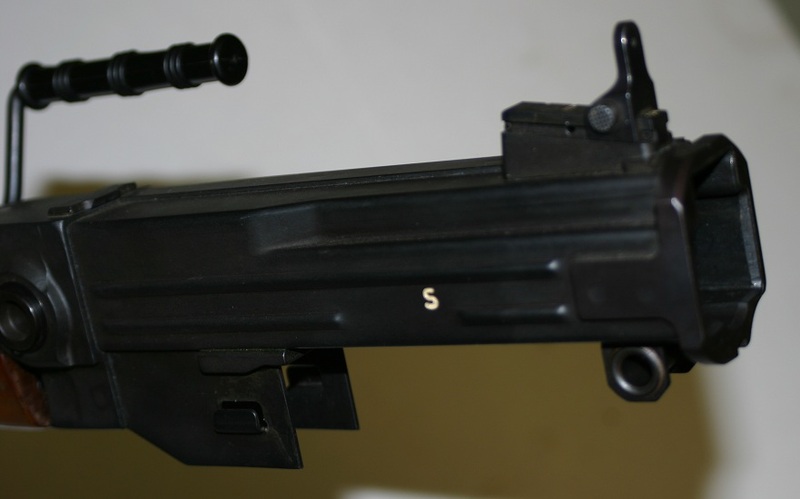 The Stgw57 is a very finely machined rifle, and includes several notable features. 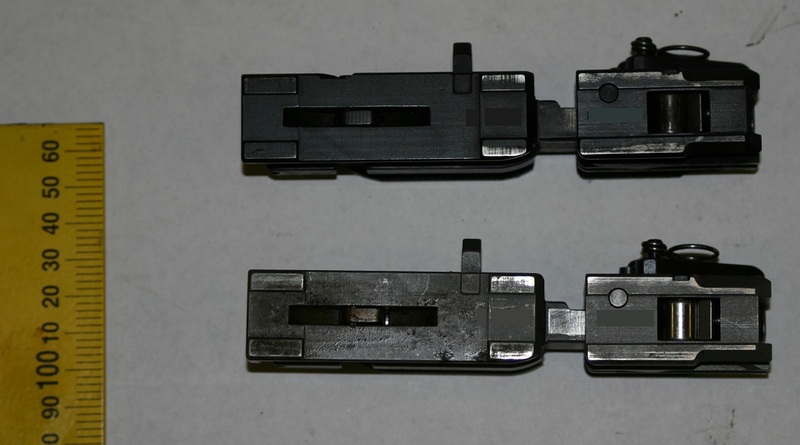 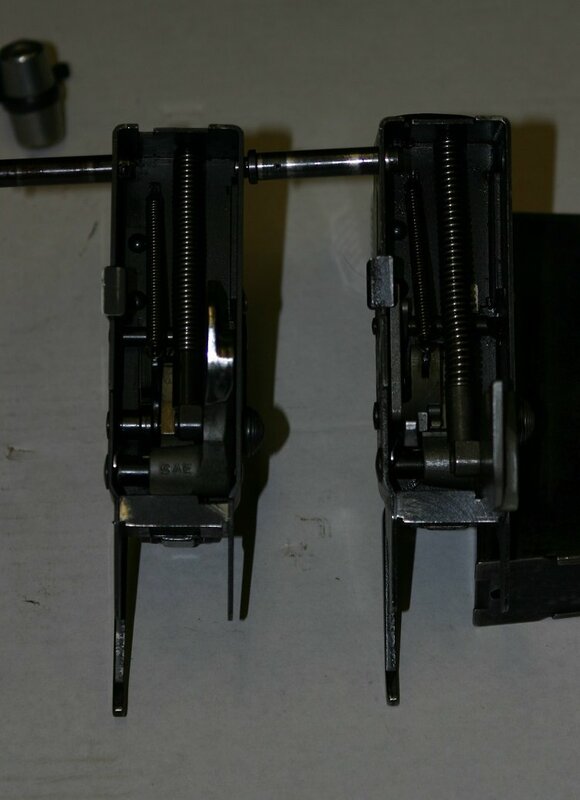 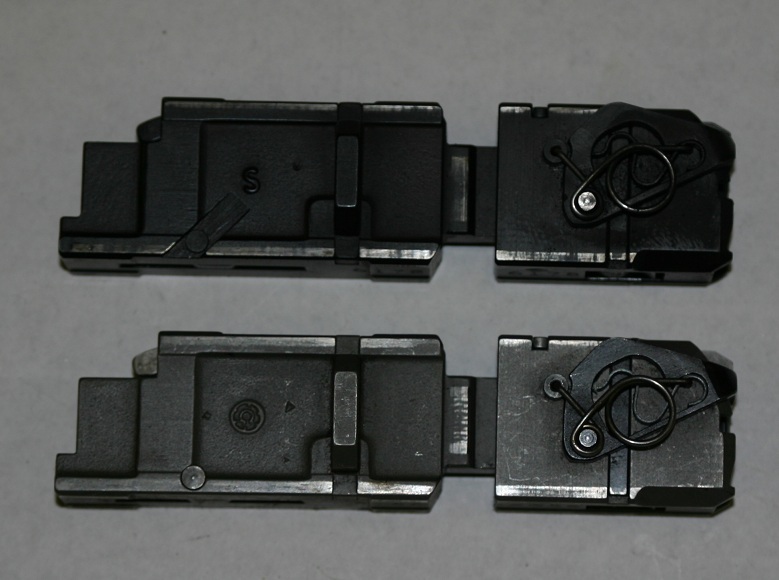 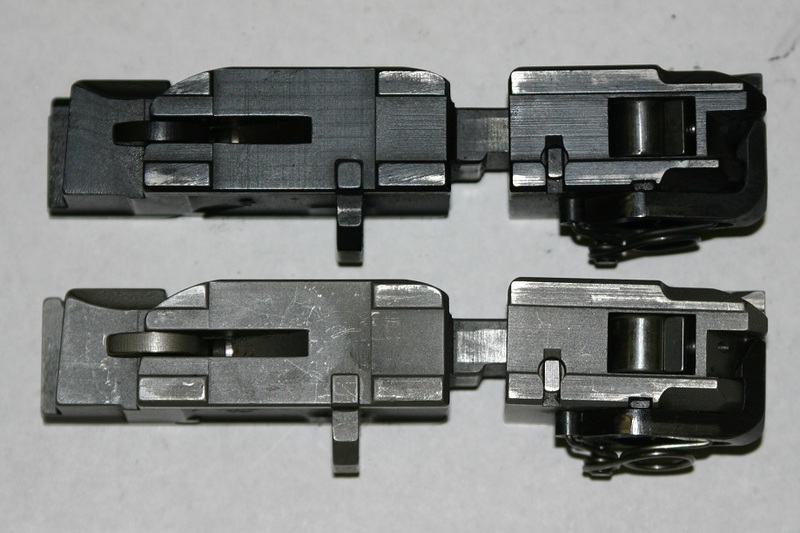 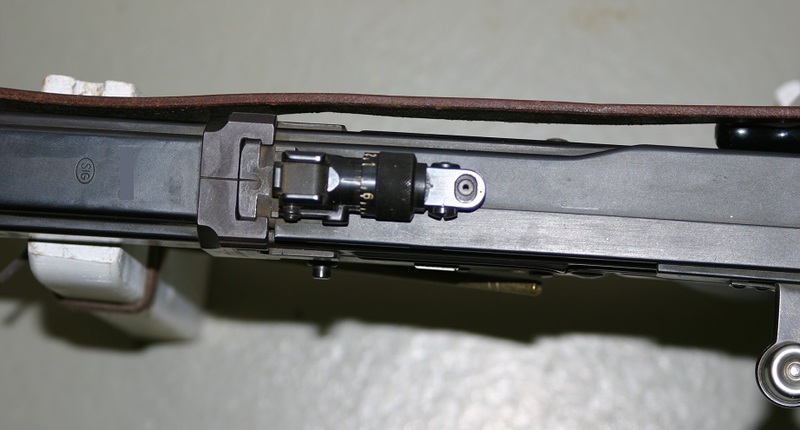 As with all roller-delayed designs, the roller recesses in the receiver will eventually wear down, and begin to increase the cartridge headspace. 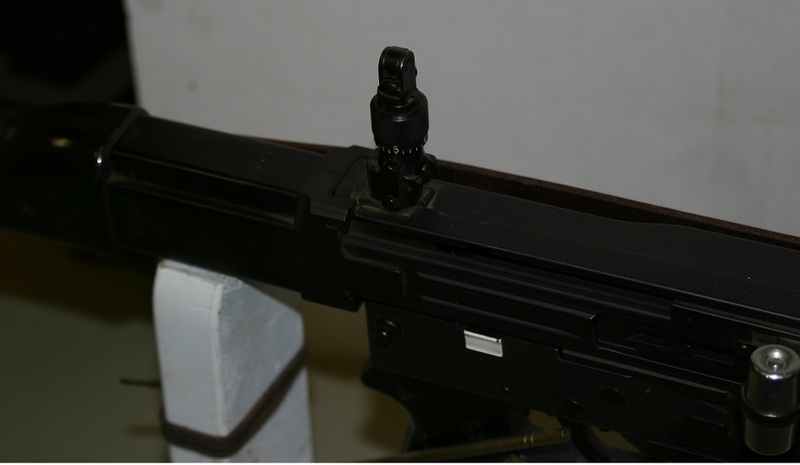 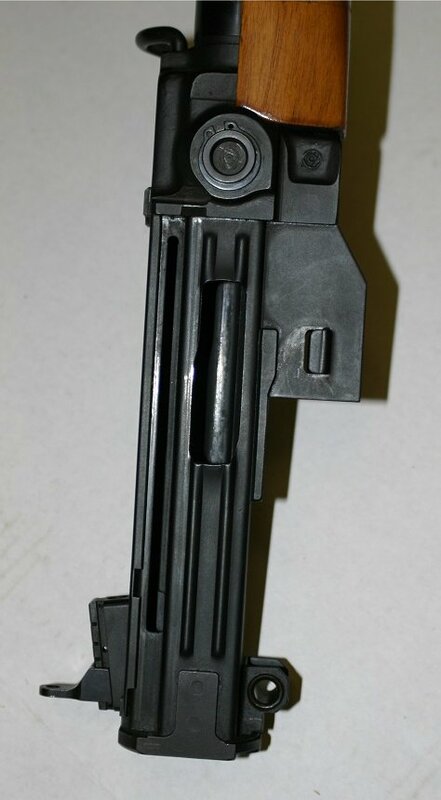 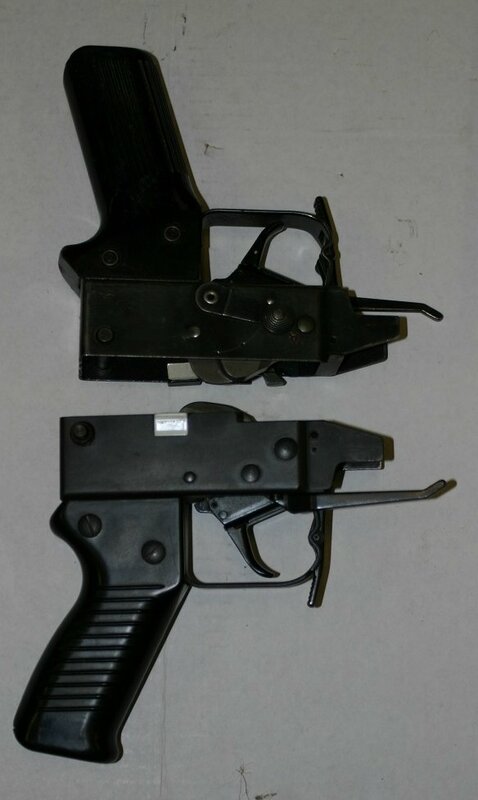 The German rifles (HK91 etc) accept this as the functional service life of the rifle, but the SIG has interchangeable locking recesses, so they can be replaced when worn. 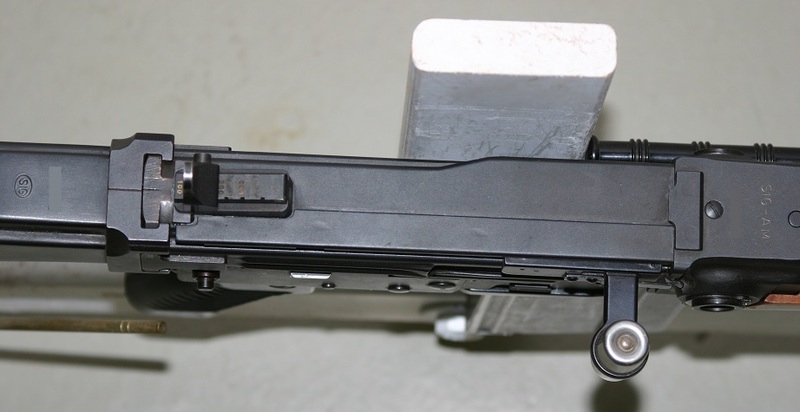 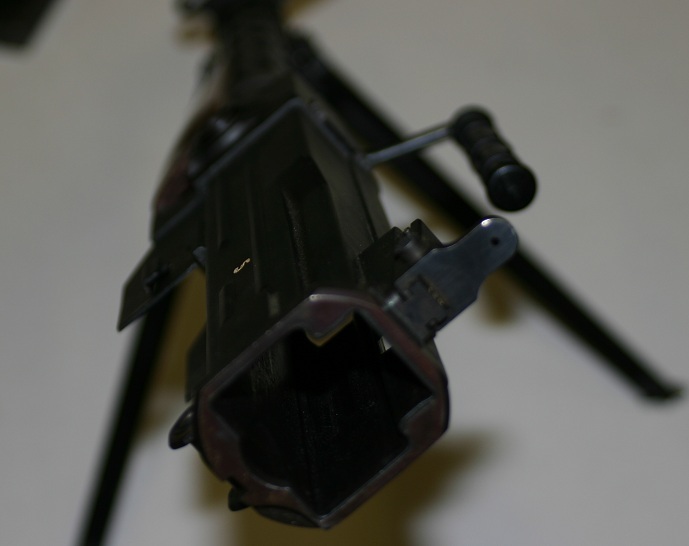 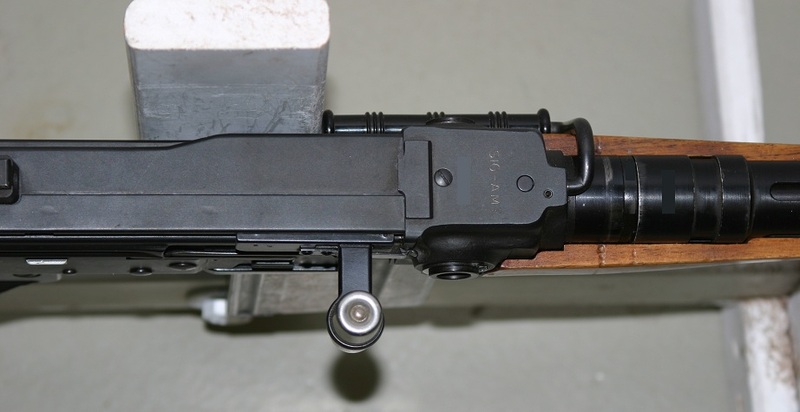 The sights on the export guns are a basic sliding aperture, but the Swiss issue guns use a micrometer type folding rear sight very reminiscent of the German FG42. 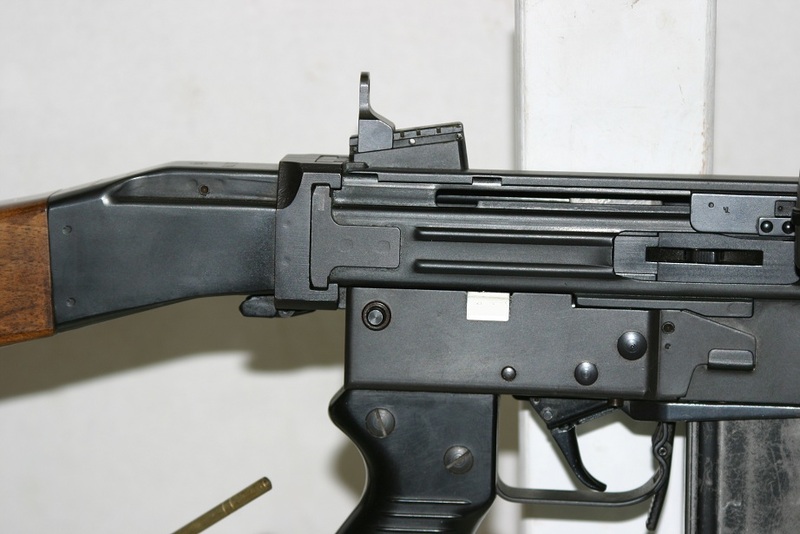 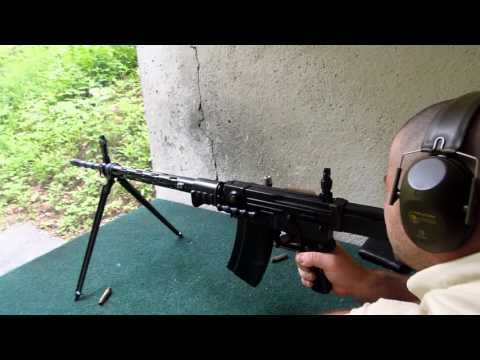 The Stgw57 was the primary Swiss infantry rifle until the 1980s, when the SIG 550 was adopted to replace it. 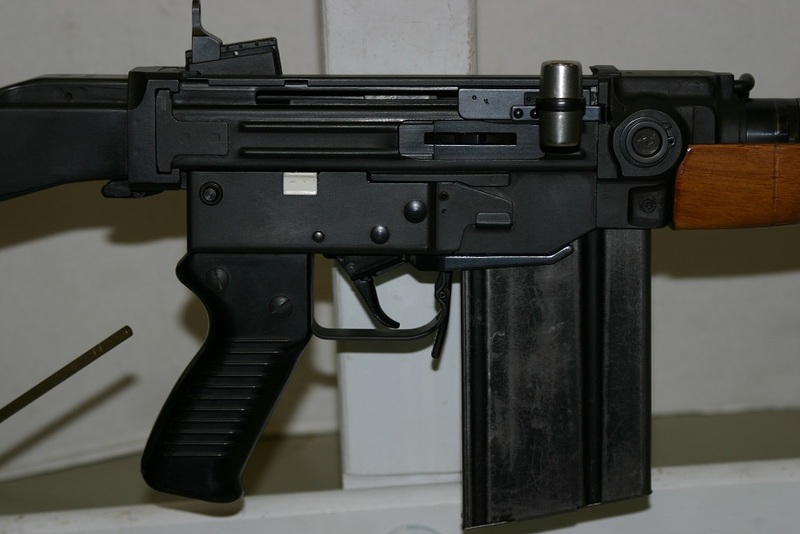 The Stgw57 was also adopted by the Bolivian and Chilean armies. 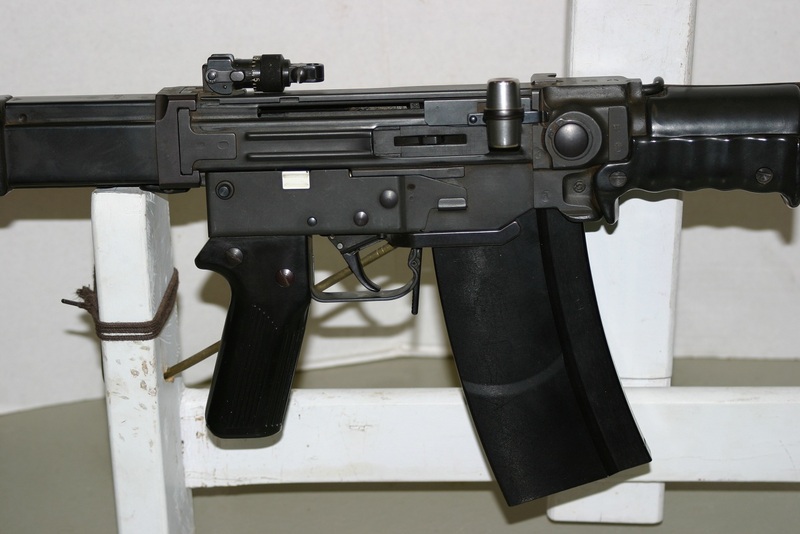 A version in 7.62x39mm (the 510-3) was developed for trials in Finland, but ultimately not put into production. 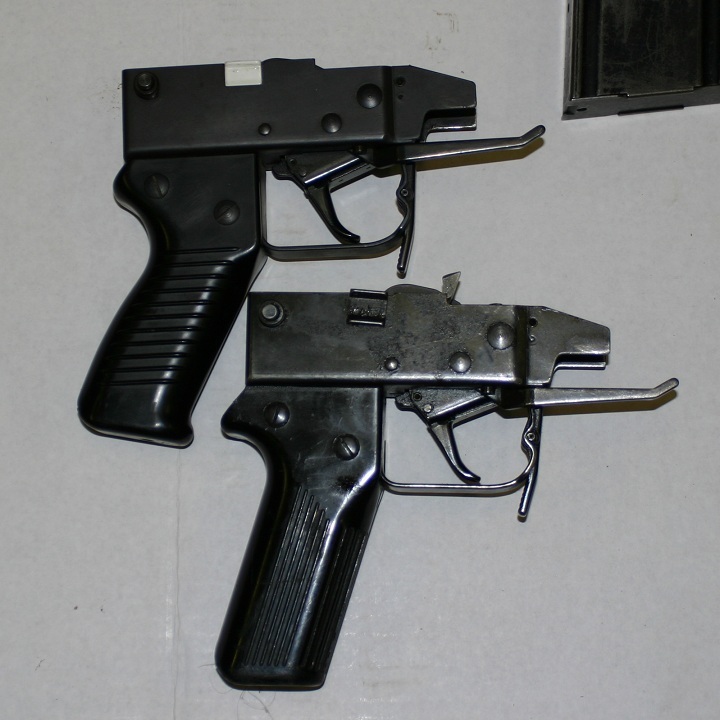 Previous Previous post: Testing GYROJET Rocket Guns – Why were they a commercial failure? 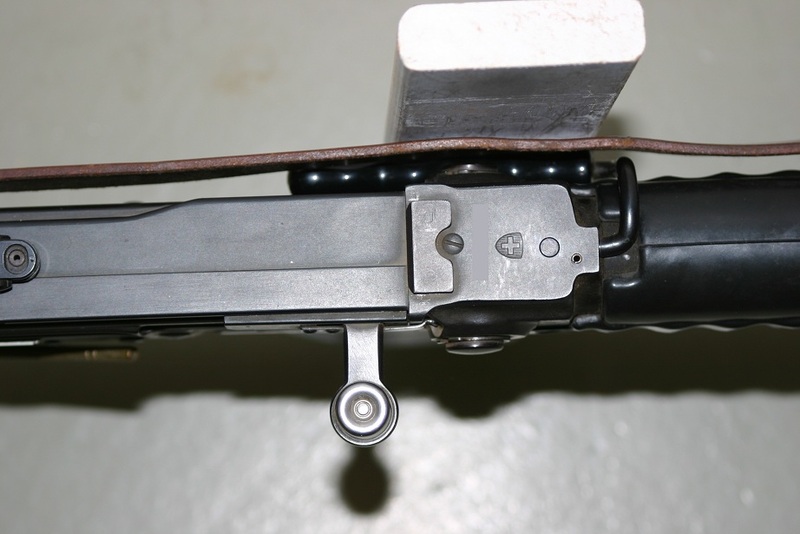 Next Next post: Winchester Repeating Arms Company Model 92 Barrel By Arbuckle & Snow – Made In 1900.